Today two MCE parents, Mrs Lamees Daya and Mrs Susana Romani visited the Sanger charity to deliver the money raised on the Sanger Charity Dress Up Day. The amount of 15,000 EGP will be used to develop the play areas for children who attend education classes there. 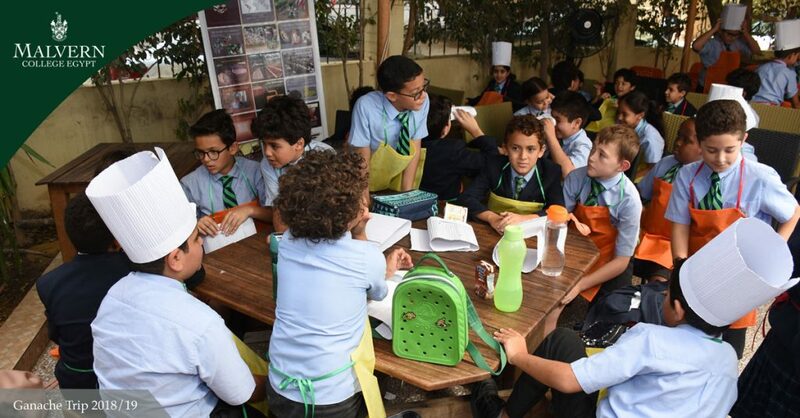 Ganache Trip 2018/19 Year 4 students had their taste buds tickled today on a trip to the Ganache chocolate factory in Maadi. Pupils created scrumptious pops and flavored chocolates. They also took part in a workshop, learning about the journey from Cocoa beans to the shops. A great time was had by all!